From Santa Fe, take St. Francis Drive north; this will turn into Highway 84/285 toward Pojoaque/Espanola. Once in Espanola, stay straight; the road will become highway 68 north towards Taos. Continue north on highway 68 for approximately 24 miles. At mile marker 24 look for a highway sign for the “Taos/Rio Arriba County Line”. Turn left into a dirt parking lot. Please give yourself about an hour and 10 minutes for travel time. From Taos, take Highway 68 South to mile marker 24. Turn right into a dirt parking lot. Please give yourself about 30 minutes for travel time. From Albuquerque, take I-25 North toward Santa Fe. Get off at the St Francis Dr exit. Drive north on St Francis Dr; this will turn into Highway 84/285 toward Pjoaque/Espanola. Once in Espanola, stay straight; the road will become highway 68 north towards Taos. Continue north on Highway 68 for approximately 24 miles. 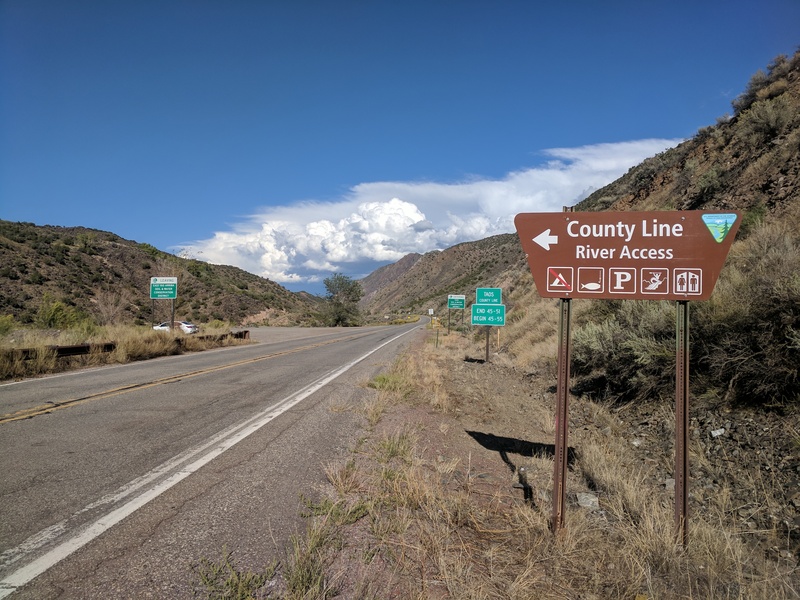 At mile marker 24 look for a highway sign for the “Taos/Rio Arriba County Line”. Turn left into a dirt parking lot. Please give yourself about 2 hours for travel time.